I often think Sauvignon Blanc is a mis-understood grape in Australia. Sauvignon Blanc is capable of making wines of great complexity and interest with the ability to age. You just have to grow it and make it right. 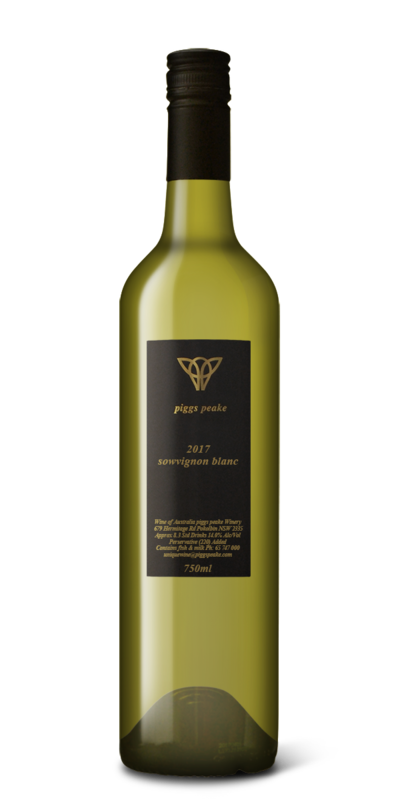 The grapes for the Piggs Peake Sowvignon Blanc are 100% from Orange. Orange is a cooler climate and so here Sav Blanc achieves a riper flavour spectrum. These riper flavours allow the wine to be fermented and matured in old french oak adding texture and mouthfeel without the oak dominating the wine. The resulting wine has a subtle nose of tropical fruits, pink musk sticks and a savory character. It is a layered wine with changes in aroma occurring as the wine sits in the glass. Its a good one to try young with cooked seafoods or a wine to lay down for 5 years and enjoy as an aged wine.